Spain is a very interesting country when it comes to wine. While wine is literally just about everywhere, there does not appear to be the kind of wine culture that you see in the United States, especially in California. I mean a culture where you strive to be aware of as much information about wine, wine regions, wine makers, and the various aspects of the wines that you drink, or aspire to drink, as possible. Here, from what I have seen, people just drink the wine. You see very few expensive wines in stores and restaurants – about 65 euros is the max that I have seen, and that price point only one time – and there is little, if any, discussion about this wine versus that wine, or this region versus that. It is both refreshing and disconcerting. When I tell people in tapas bars that I want to learn about Spanish wines, I usually get a response like, “Do you line blanco or tinto?” That is, red or white. That’s about it. Everywhere you go, you see people, young and old, drinking wine – very cheaply compared to prices in the US. For 3 or 4 euros, you can get both a glass of wine and a plate of tapas in most places. Today, at a very nice tapas place, Dorianne and I had three large plates of tapas and two glasses of vino blanco for 18 euros. That being said, I know that there is both a rich tradition of fine winemaking here and a culture that appreciates the results of good winemaking. I look forward to further explorations during the next month plus of our visit. Next week, we will begin to tour some of the Sherry wine country of Andalusia, the southwest portion of Spain. 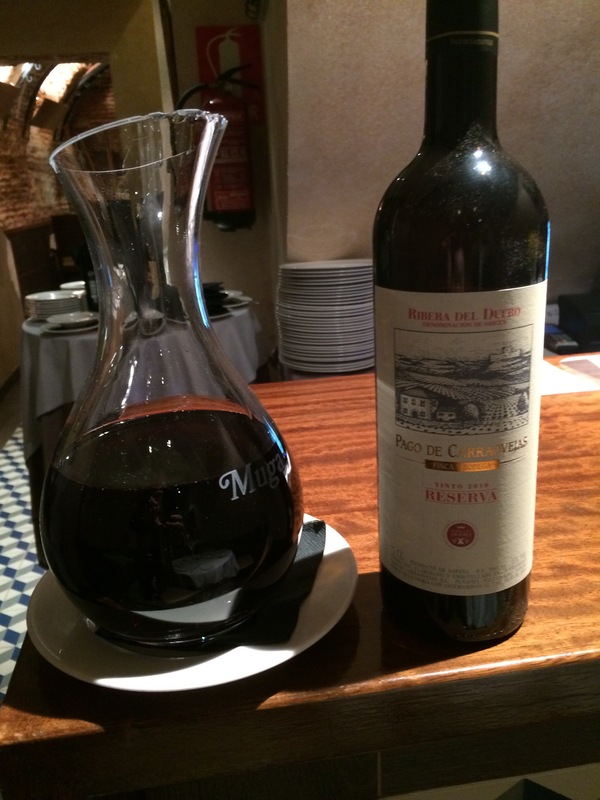 What is your experience with the wines of Spain?